I’ve never been good at sport. I’ve always been the last one picked in the school yard or the one who although tries their best, will never catch or hit the ball. Then I discovered the gym and lifting weights and it completely changed my life. It was a place where I could go to zone out and focus on being a better version of myself; not just physically, but also mentally. It was a place where the only person I competed against was me, the only person responsible for my results. Then a year ago my life fell apart. I had a relationship breakup, my parents separated, I decided to move countries and 2 weeks after moving I ended up in hospital with a heart condition. I realised my life was out of balance and needed a goal to give me something to strive towards and focus my energy on. I decided that goal was to compete in the next ICN comp. 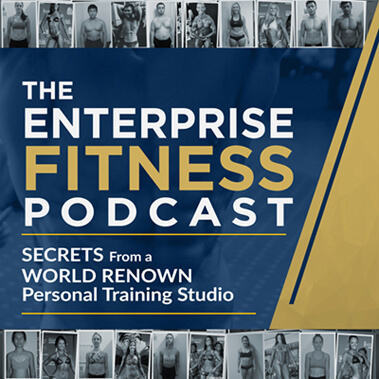 I researched heaps of trainers and chose Enterprise Fitness as they focused on bodybuilding and had a record of results. I had absolute confidence that they had the expertise and knowledge to help me achieve my goals. I met my Senior Trainer, Nathan Madder and was impressed with him from day one. He has taught me so much and pushed me harder than I have ever pushed myself. His focus on nutrition and ensuring we do things healthily, in a steady manner has really helped me keep a balanced and was truly a holistic approach. In addition, he has driven me hard in our sessions (despite my numerous complaints…) and taught me mind- muscle connection which is something I have definitely struggled with. But more importantly he has taught me to be confident with my body and “own it” as I have worked hard for it. It’s changed my whole perspective and I’ve gone from wearing baggy t-shirts to living in crop tops! Last but not least, Nathan has helped me achieve great results. 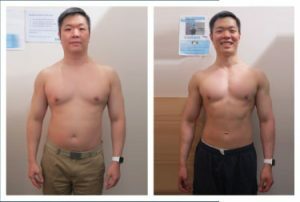 He helped me achieve the goal I set from the beginning which was to be under 10% body fat for ICN (which I achieved exactly one week out) but to also place in two of my categories. In summary, the last few months with Enterprise Fitness have been amazing and has helped me not only improve physically, but mentally. It has been an incredible journey and shows that with the right help, you can achieve the goals you set out to achieve – and more!